Freyja sat at her dresser, staring at the rose still lying on its silk wrapping. It was carved out of amber; every petal a perfect replica of the real thing; lifelike veins lined the length of its stem, flecked by sharp thorns, the mere thought of their sting making Freyja’s eyes water. The maid came in, started the fire and left; Freyja hardly glanced up. The fire was now a dying smolder and Freyja was still far from grasping the meaning of the gift. It wasn’t like Bianca to forgive, but that is what the note said. Freyja shook her head in disbelief. True, it wasn’t her fault that the King exiled Bianca; it wasn’t Freyja’s fault that she was with child within a month of the wedding; and that her first born happened to be male. And yet, Freyja couldn’t suppress the memory of Bianca being dragged out of court, shedding her dignity with each hollered curse directed at Freyja. Freyja sighed, but her breath caught in her throat. She squinted at the rose. It must have been a trick of the flickering light. The rose was fashioned with great skill, but as lifeless as the silver comb on the dresser. Yet, the petals were swaying, as if caught in a breeze that wasn’t there. Freyja picked up the rose, fear making her tremble, clumsy. Her finger grazed a warm thorn. Freyja hardly felt it, but it was enough to draw blood. And the rose drank it. An instant alchemy transformed the rose. 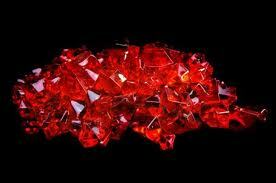 It sucked the blood out of Freyja’s wound, seeping into the stem, turning it red; amber became ruby. Revulsion consumed Freyja. She threw the rose into the fire, shattering it. As the shards simmered, a flush rose within Freyja. Her skin burned, her breath seared her lungs. Freyja screamed and thrashed in pain. She drowned her hands in the water basin and they let out steam, the water evaporated as did Freyja’s scream as she slowly turned to ash. Today, Trifecta have asked us all to concoct a story using the noun ‘Alchemy’: an inexplicable or mysterious transmuting. I am ashamed to say that I had never heard or read the word used in this form before. The word ‘Alchemy’ has always brought different images to my mind; like Nicolas Flamel in his overalls, puffing and sweating over the Philosopher’s Stone; even in that my imagination was fictional. I only found out that Mr Flamel was a real person, years after reading Harry Potter. But I am thankful to Trifecta; each week they force me to enrich my vocabulary! And please, dear readers, criticise at your heart’s content. This entry was posted in Challenges, Fiction and tagged Colours, Dark, Fantasy, Horror, Writing Challenge. Wow…well done. Kept me entranced to the very end! I also like the play on the word “rose” is the first line of the last paragraph…intentional or not. Brilliant! That was a happy accident I allowed to happen 🙂 Thanks a lot for your kind comment, Maggie, much appreciated. I Loved This. Well Done. 🙂 Thanks a lot for reading. Mesmerizing!Only sad to see Freyja ‘s end in such a manner-wish she had had the sense to trust her instincts & not touch the “gift”! Just a little point I should have placed as part of my introduction to this post; ‘Gift’ also means poison in German…so yes, she definitely shouldn’t have touched it! Thanks a lot for your comment Atreyee. Wow! Incredible and unexpected imagery. This could be the beginnings of a novel. Incredible imagery in this little tale. That last sentence is a stunner! I loved this whole piece, right through to the end! Very well done!! Of course, I had to go and look up John Dee…conversing with the angels? Neat character indeed! Thanks Pirate, glad you liked it. Great job with the prompt! I find it hard to believe nobody’s ever reblogged you before. ?? Well deserved. Thanks, Ruby, I’m glad you liked it. Draug beat me too it… I was going to say, “This is FLIPPING AWESOME!” Loved this piece. hehe 🙂 ‘Friggen’, ‘Flipping’…I am Frightfuly grateful, thank you Brenda. Sandra I so laugh at my meagre offering, when I read yours, you had me captured from the beginning with Freyja to she slowly turned to ash. Truly amazing piece Sandra. Your comments are always so kind…still, my chest is bloating up with pride right now! So far I may say you are about the only one to use the word in it’s intended purpose. Now I am wanting to change my story! No, don’t change yours! I really like yours! A great read that ended too quickly. I wanted to draw it out a little longer; compare the rubies’ melting with her blood etc. etc. but the word limit is what it is. *sigh* Thanks a lot for your comment Kelly. Coming from The Imaginator, a comment like that means a lot 😉 Thank you. Now THAT is what I call revenge. Terrific tale. Revenge with style! Thanks a lot for your comment Kymm. Excellent story! When she reached to pick up the rose, I started holding my breath. I was afraid it may end badly for Freyja. Thanks a lot for reading Renee, and I really appreciated your comment. Wow. Great story! I loved it and agree with Valerie that the last line is a real stunner. 😀 Thanks Jennifer, I’m glad you liked it. This was a really good read – the descriptions were great, the mystery kept building, and the cool supernatural finish was perfect. Ya one for you definitely.